production of closed trailers for ground transportation of the planes. advanced soaring tranining of UL pilots on UL DuoBanjo. 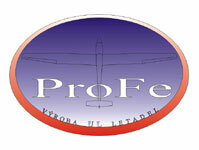 complete UL pilot training for people interested in UL flying. If you would like to join an aeroclub, we recommend http://www.aknm.cz/pilot.htm.